The EU’s new plan to create refugee camps in North Africa is unlikely to ever work, as it’s never considered the situation on the ground – something that Europe helped create when it intervened in Libya, experts warn. Years of unending migrant influx have apparently stretched both the capacity and hospitality of some European nations to the limit. While the new Italian Euroskeptic government has outright refused to take in any new arrivals, arguing that it has too many already, the Swedish government struggles with a crime wave that followed a mass influx of migrants. 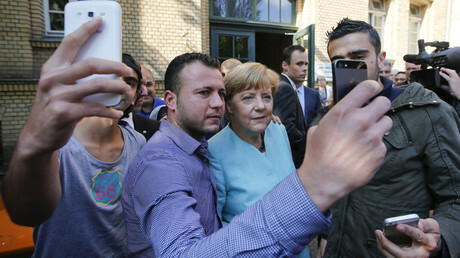 German Chancellor Angela Merkel, who was once one of the most adamant champions of the ‘open borders’ policy, has had a tough time facing pressure both at home and at the EU level. As Europeans bicker over the fair share of migrants, a new major threat looms on the horizon. In April, the head of the UN World Food Program, David Beasley, warned that Europe might soon face a new massive wave of migration from the Sahel, the potentially unstable African region lying south of the Sahara Desert. “My comment to the Europeans is that if you think you had a problem resulting from a nation of 20 million people like Syria because of destabilization and conflict resulting in migration, wait until the greater Sahel region of 500 million people is further destabilized. And this is where the European community and international community have got to wake up,” he said. As tensions over the migration policy inside the EU continue to escalate, the bloc has been attempting to stay afloat by literally shipping the problem abroad. 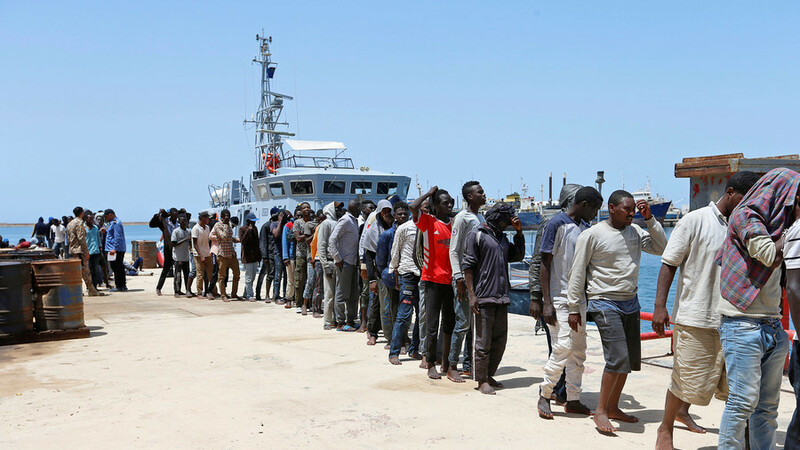 However, its plan to establish migrant processing centers in the North African countries has run into a brick wall, which Europeans built themselves with their invasion of Libya back in 2011. When Europeans hastily drafted a new plan to deal with the migration issue to alleviate the tensions within the EU, they never bothered to consult the North African nations, Marianna Belenkaya, an analyst and a columnist at the Russian Kommersant business daily, told RT. All Europe’s potential partners turned out to effectively be against any deals involving the creation of migrant centers on their territory. Most recently, Fayez al-Sarraj, the head of the UN-backed Libyan unity government (GNA) in Tripoli, told the German Bild daily that Libya will never take back asylum seekers rejected in the EU, nor will it agree to build refugee centers on its soil, even if such a deal would involve financial assistance from Europe. 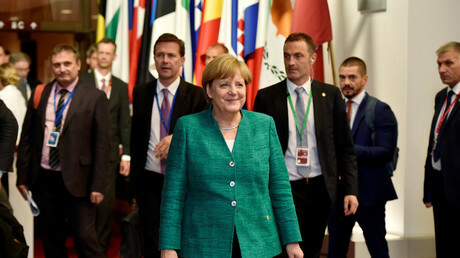 Other North African nations, such as Tunisia and Morocco, were also reluctant to agree to Europe’s proposals, according to Belenkaya. Such an outcome was unfortunate for Europe, which actually expected that “an incentive of European investments” would be enough to win the North African governments’ support, she added. The Europeans expected Libya to become the cornerstone of its new migration policy, as “any Libyan government under the current circumstances [was expected] to be dependent on the European financial aid and political support,” Grigory Lukyanov, a Middle East analyst and senior lecturer at the Russian Higher School of Economics told RT. 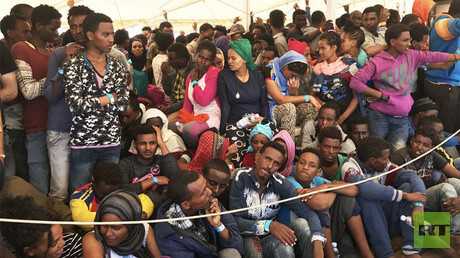 African migrants did not travel further to Europe from Libya “not because they were somehow forbidden [to do that] but because they could effectively find a job and better live there,” Lukyanov said. 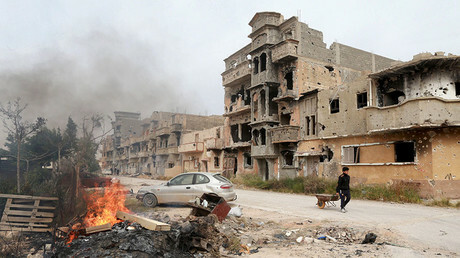 However, everything changed in 2011 when Libya fell into chaos after the toppling and murder of Gaddafi amid the foreign intervention in the civil war, in which anti-government rebels were actively supported by many European nations, the US and NATO. The reckless Western invasion, disguised as help to the “freedom fighters,” has left the North African state in shambles. Warlords and clan-based militias have seized upon the opportunities in both human trafficking and oil smuggling created in the post-Gaddafi chaos. For years, the country was also unable to overcome a period of diarchy that emerged from the vacuum of power left by the toppling of the Gaddafi government. 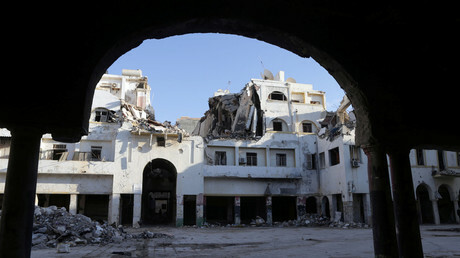 In 2014, Libya was divided between the UN-backed government in Tobruk and a Tripoli-based government formed by Islamists. One could now hardly call it a simple coincidence that the number of migrants and refugees coming to Europe through the Libyan territory drastically increased at that time, with the refugee crisis reaching its highest point a year later. In 2016, the Government of National Accord (GNA) was formed to unify the country but it eventually failed to do that as a new center of power emerged in Tobruk. With political process stalled and local warlords and tribal militias determining the daily lives of people with little regard to the central authority, any idea of establishing migration centers in Libyan territory seems unviable. “All attempts to restart the political process and hold elections as well as to put an end to the resumed hostilities in many parts of the country have been futile so far. Under such circumstances, it makes no sense to reach any agreements with just one center of power,” Lukyanov believes. He further explained that creation of a “buffer zone” hosting migrant processing centers in the Libyan coastal area in the current situation would be absolutely impossible. “This region hosts the most populated areas with many settlements and ports, which are constantly contested by various warring parties. Any refugee centers here would immediately become a part of a trade-off or a conflict between the armed groups,” the analyst said. Unlikely as it is to be brought to life in the current situation, Europe’s current plan to deal with migrants with the help of North Africa might also be flawed in its essence, Belenkaya warns. A potential solution to the European migration crisis might lie in trying to undo what the Europeans did to Libya years ago. The EU has to effectively embrace the legacy of Colonel Gaddafi if it wants to stem the influx of migrants from Africa, experts believe. “Only a functioning state and a healthy economy in Libya would … create conditions for at least part of the [migrants] to stay there instead of moving further to Europe,” Lukyanov argued.